Hey, it can't be any worse than the Ronda Rousey episode, right? 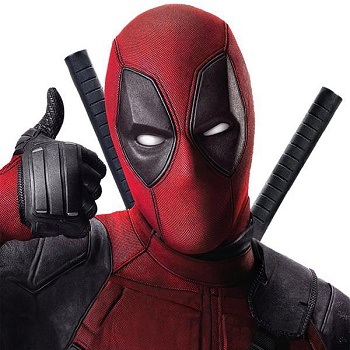 In what I'm guessing is a first for Lorne Michaels and the Saturday Night Live crew, fans of the mega smash Marvel flick Deadpool are petitioning to have a fictional character host an episode, or at least, for Ryan Reynolds to host the show while in character. The petition was started on Change.org by Deadpool fan Andrew Stege, who presented a pretty strong (if grammatically unsound) case for why the merc with the mouth would make a suitable SNL host. "We've all seen the trailers, the magazine covers, the viral videos, and the billboards by now, so what's left for Deadpool (Ryan Reynolds) to do?" asked Stege. "HOST SATURDAY NIGHT LIVE AS DEADPOOL!!!!" How would this not be hilarious having Deadpool in sketches, breaking the 4th wall, and inserting some of his brand of humor (obviously toned down a bit for network television)!?!?! I have not watched a full episode of SNL in years because I just haven't been able to stomach an entire episode, but having Deadpool host, star, and be all over the episode would get the DVR set so I can watch it again and again!!! Not to mention, depending on the musical guest, how awesome would it be to have some Deadpool interpretive dancing while the musical guest was playing? There's unlimited possibilities!!! Sign this petition in hopes that it'll find it's way to the 'powers that be' and get that idea churning in their heads! Bring Deadpool to host SNL!!! As of this write-up, the petition is currently standing strong with over 35,000 signatures, and even @midnight and Talking Dead host Chris Hardwick has taken to Twitter to support it. Given Deadpool's record-breaking success at the box office over the weekend, one would imagine that Ryan Reynolds -- who hosted the show as his plain old self back in 2009 -- would be on the short list of actors that the show would want to have on. While the idea of seeing him donning Deadpool's signature red tights in addition to the costumes and wigs he would be wearing as part for the sketches themselves is a rather hilarious prospect, I'd be willing to settle for a Reynolds-hosted episode that at least features a Deadpool sketch or two. Any other takers?